Einzigartigkeit (uniqueness)? Dr. Schwab, what exactly do you mean? Every executive, every personality, every individual has capabilities and skills. Oftentimes, these are buried under stressful and “overheated” day-to-day operations. With my “readability”, which has been developed over decades, we will release your “Einzigartigkeit (uniqueness)” together. It will become clear to you where to find the “adjusting screws” on your personal map of life. Now, we will apply your own Moment Management® tools. I have developed Moment Management® in three decades for and with managers & executives. In Dr. Schwab Coaching, you as an executive will learn to assess situations & understand the views of your team members in order to initiate any change process needed. The Moment Manager will keep “all senses and the central nervous system” open and make decisions. The company can rely on him, which makes him successful. Your appearance – your success! Public appearances, presentations & meetings are moments in which you will be the main focus of attention. With the right presentation techniques, you will learn to interact in front of an audience in a confident & convincing manner – without losing your own authenticity. Dr. Schwab will support you with targeted presentation coaching from conception all the way to your appearance. Content structures and appearance behavior will be analyzed, optimized and customized to fit your personality. The scope of a single, double, trio coaching session is geared exactly to your wishes & needs. 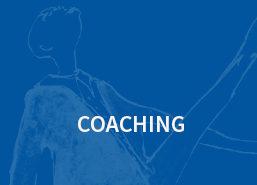 Following anamnesis & analysis, we will define a personal coaching schedule together. A dedicated questionnaire will support us in the process. Three coaching sessions with corresponding preparation and follow-up, amongst others including professional video technology, constant exchange on the application, appearance and communication behavior, reflection, sparring, strengths-weaknesses profile and spoken implementation. Boosting the soft skills via: metaphors, story-telling, case studies, lessons learned and complementary redundant PowerPoint use.